Today’s Digital Age is a time of scarce attention and abundant connectivity, where smartphones are a primary access point to everything, and where providing a slick, best in class experience delivers most long-lasting impact to client engagement. It is therefore perhaps unsurprising that technology and its rapid pace of change are forcing wealth managers to rethink strategies and adapt longheld assumptions about clients’ digital needs. This is an interesting analogy for the extent of digital penetration today. However, we’d go further and suggest its influence extends to generations beyond Millennials. 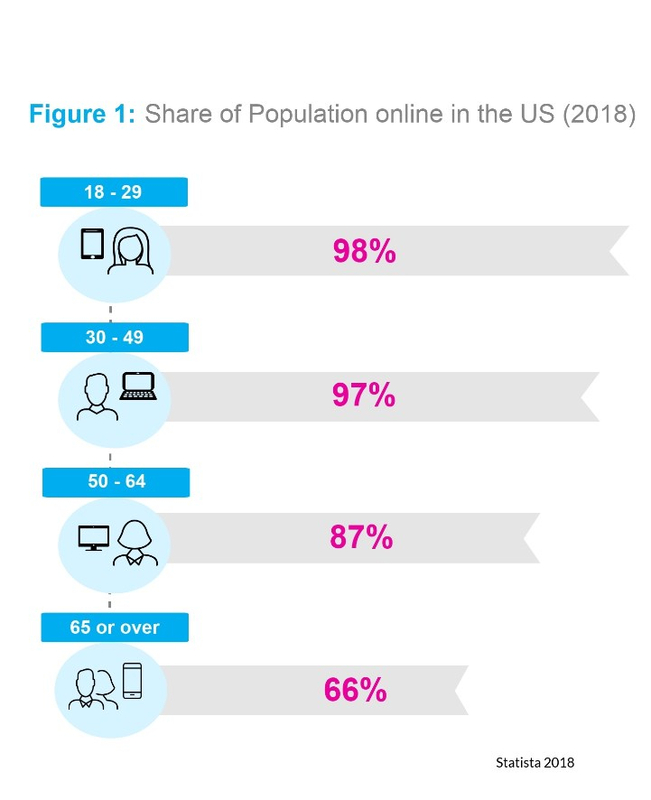 In the US, for example, two-thirds of the population over the age of 64 are digitally active; this rises to 87% for those between 50 and 64 years of age (Figure 1). Moreover, Scorpio Partnership’s research from as far back as five years found that HNWs owned, on average, four electronic devices, and spent over 48 hours each week online managing their complex affairs. Of these, all believed that greater engagement with digital technologies would help contribute to their future successes. Scorpio Partnership’s latest research, delving into the hearts and minds of Chief Marketing Officers (CMOs) globally, finds that technology has galvanized itself into a top concern for as many as one in two senior marketers. For many senior leaders, the challenge lies with figuring out how best to integrate digital to service existing older clients, while building bridges to younger target demographics. It is also about understanding who in the organization is capable of harnessing the rapid pace of technological change. Knowing ‘how’ to build a plan of action and ‘who’ will get you there is vital to business confidence and growth. Over the next 12-months, forward thinking CMOs will be ramping up efforts around how and what they communicate to clients. In particular, they are addressing the following three areas to support wider business objectives. Reallocating marketing budgets. Of note is marketers’ shift in spend from traditional advertising to digital marketing (up by 8%) and client experience programs (up by 5%). Nearly four in five marketing leaders (78%) say that raising awareness among target audiences is a key business priority. It is therefore hoped that smarter and more targeted advertising will drive greater engagement and innovation. Content marketing and thought leadership development are powerful blends of art and science, allowing wealth managers to organically demonstrate expertise and differentiate themselves from competitors. Almost three-quarters of marketers (72%) highlight the importance of creating valuable content to future business success. Upgrading CRM systems. 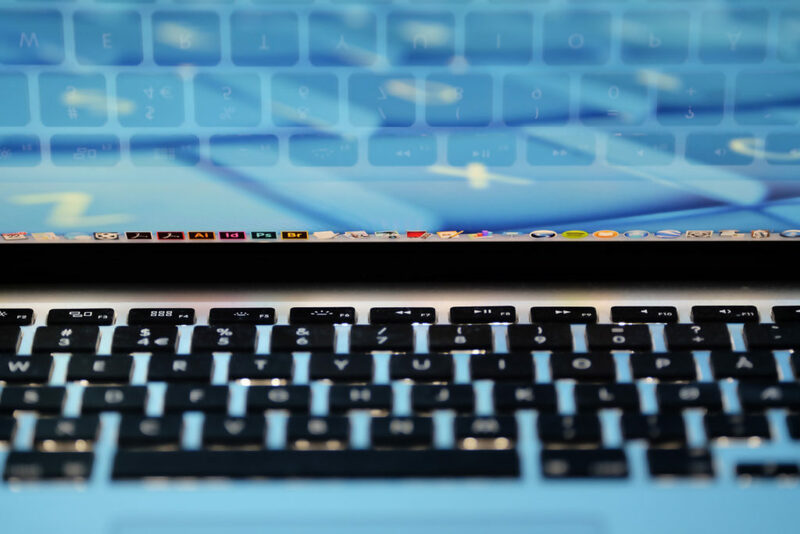 Seventy-two per cent of CMOs believe that prioritizing improvements to CRM platforms will not only make internal business processes more efficient, but also ensure a consistent experience for clients across channels. Efficiencies will free up time for relationship building and exploring growth opportunities. Latest results point to exciting opportunities for CMOs and their firms. A greater focus on digital connectivity will allow wealth managers to service clients in new and exciting ways. It will also allow senior leaders to rethink how technology is brought to the heart of the organization and develop new offerings that entice target audiences to expand their relationship with the firm.